Second grade students had some very special guests visit Friday afternoon to listen to them read! Several area therapy dogs, including our very own Martha, partnered with second grade classes for this special event called Sit, Stay, Read! 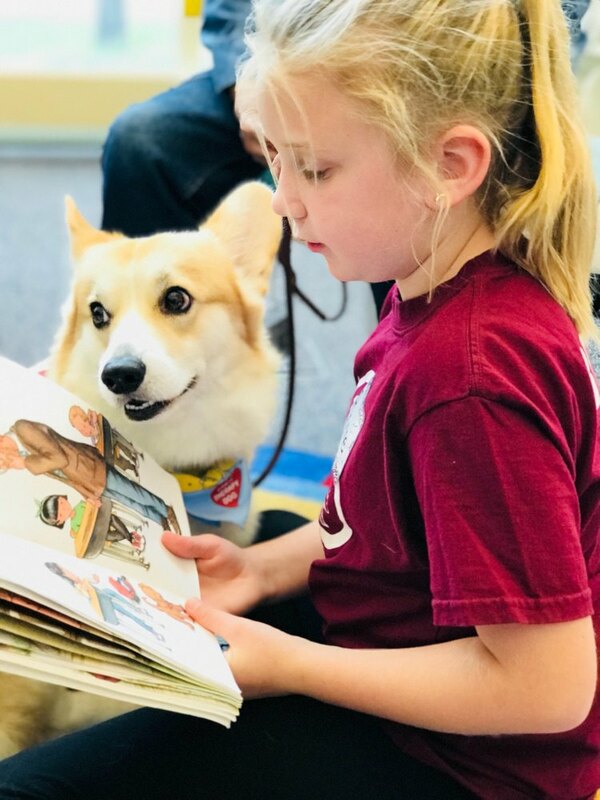 This fall, two second grade classes each month will have the opportunity to cuddle and read with these adorable four legged friends in the library. Teachers and staff eagerly stopped in to visit for a bit as well! Some wonderful combined benefits of this program include the promotion of literacy skills, communication, and interpersonal skills. Many great thanks to Mrs. DesLauriers for organizing this event, Mrs. Garcia, Mrs. Hougas, Administration/Staff, Ede Jankowski of Alliance Therapy Dogs, and the owners/handlers for making this special event happen! It is their hope to continue this event in the spring with other grade levels.